Before you can file a formal motion with the court to evict a tenant, you must first give the tenant notice. This notice will inform the tenant of the reason you will be filing for eviction and will give them a certain amount of time to fix the violation. Learn the reasons you can file to evict and what information this eviction form must include. What Is the Reason for the Eviction Form? The reason you want to file to evict your tenant will determine the type of eviction form you will need to send. Nonpayment of Rent or Late Payment of Rent: This is the most common reason a landlord will file to evict a tenant. The tenant has not paid the rent that is owed or has habitually paid their rent late. Breaches of Lease Agreement: If a tenant violates another term of the lease, such as having a pet when you have a no pets policy, the landlord will send a notice to cure the violation. Serious Damage or Illegal Behavior: This eviction notice is for when a tenant seriously damages the property or engages in illegal activities on the property, such as drug dealing. It does not give the tenant the option to fix the action. No Cause Termination: This notice informs the tenant, usually a month to month tenant, that they will need to move out of the property by a certain date or face eviction. Rent Increase: This notice informs the tenant that their rent will be increased. The tenant will need to accept the increase or move out of the unit by a certain date. Where Can You Get an Eviction Notice Template? An Attorney – An attorney familiar with landlord-tenant law will be able to provide you with the appropriate landlord tenant forms that meet the legal requirements in your state. Courts – You may be able to obtain the necessary legal form directly from your local court. For example, NYCourts.gov has a sample Notice to Terminate for landlords. Online – There are numerous online sources that offer legal forms to landlords. These include Rocket Lawyer, EZ Landlord Forms, and US Legal Forms. If you use one of these resources, it is up to you to make sure they meet all your local landlord-tenant law requirements. You may want to have a local lawyer who is familiar in landlord-tenant law look it over to confirm. What Needs to Be Included in This Notice? In order for it to hold up in court, the eviction notice that a landlord sends to the tenant must include certain information. The exact information will vary depending on the reason the landlord wants to file for an eviction, and will also depend on the specific landlord-tenant laws in your state. Therefore, it is best to consult a lawyer to determine the legal validity of the notice. Here is the general information the notice must include. In a lease signed Month, Date, Year, the tenant agreed to follow all terms of the lease agreement, including paying a monthly rent of $1500 a month. In a lease signed Month, Date, Year, the tenant agreed to abide by all terms of the lease agreement, including not having any pets on the premises. You are in violation of the lease agreement due to nonpayment of rent. You owe rent in the amount of $1500, which was due on Month, Date, Year. You are in violation of the No Pets Policy clause in the lease agreement by having a dog in the rental property. You are required to pay the rent amount owed of $1500 in full by Month, Date, Year. You are required to remove the dog from the premises by Month, Date, Year. If the tenant does not comply with the notice, you must file a formal eviction with the court. 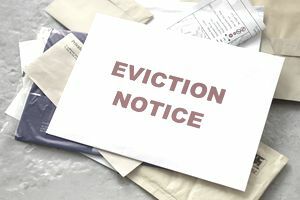 If you win the eviction, the court will issue a formal Writ of Possession that gives the tenant a certain number of days to move out of the property or be forcibly removed by local law enforcement.